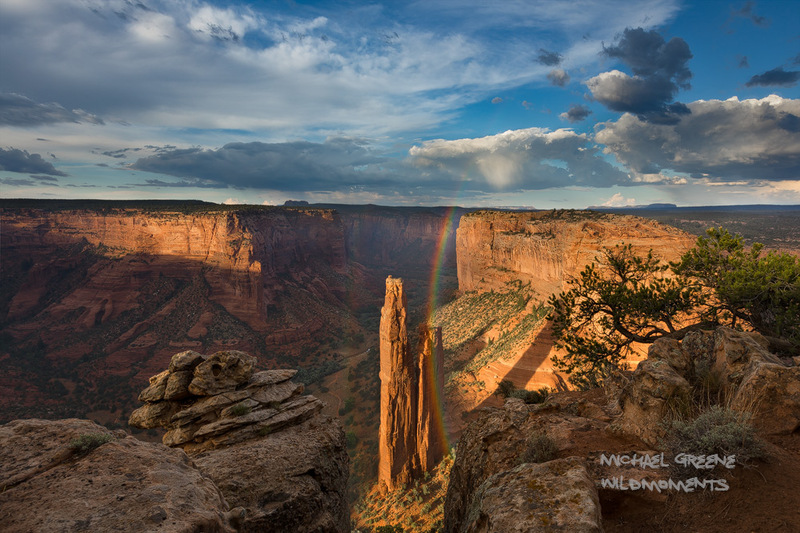 I was fortunate to take this moment in alone at Spider Rock, Canyon De Chelly's most iconic viewpoint. The rainbow lasted several minutes and it was raining hard during capture, which was an hour before sunset. Canyon De Chelly is located near the Navajo town of Chinle in northern AZ. Photo © copyright by Michael Greene.